When I first visited Khua Kling Pak Sod, I was overwhelmed with the amount of flavours and spiciness. Back then, it was the first time that I’ve tried authentic Southern Thai Cuisine. I was impressed right from the start and visited the restaurant multiple times after. Reason enough to write an article about this popular Southern Thai Restaurant. Khua Kling Pak Sod is a family-run restaurant with four branches in Bangkok specialized in the Southern Thai cuisine that is famed for its fragrant spice-infused flavours. All dishes they serve are made with their grandmother's recipes. 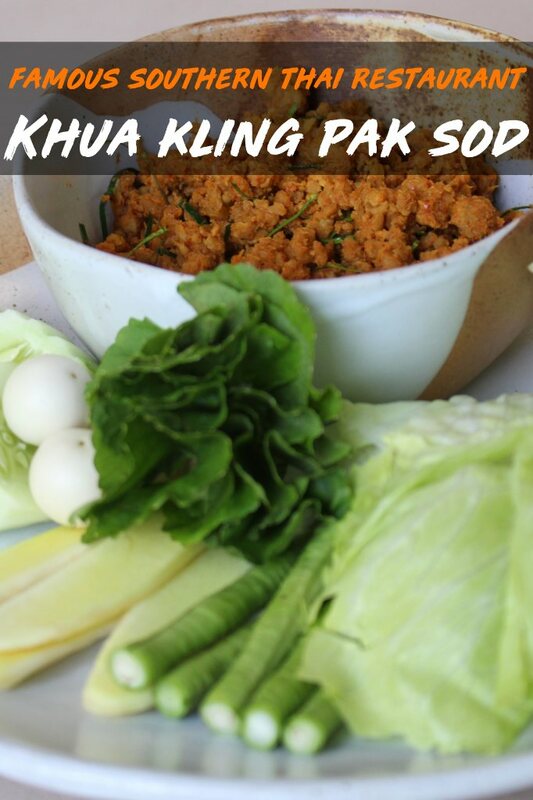 The concept of Khua Kling Pak Sod is to create a homey atmosphere, where you can eat with your family, similar how the owners Bic & Book shared their food with their family when they were young. In my opinion, the branch at Sukhumvit 23 has the best homey atmosphere. For those of you who are not familiar with the Southern Thai Cuisine, it is the most herby and most spicy part of the Thai Cuisine. Although there are non-spicy options at Khua Kling Pak Sod, I would not recommend visiting this restaurant if you don’t like spicy at all. But if you do, Khua Kling Pak Sod is a feast. Khua Kling is a Southern Thai Dry Curry, and as the name of the restaurant already suggests, it is the absolute highlight of this restaurant. It is also the spiciest dish they serve. At Khua Kling Pak Sod, you will get a dry pork curry with thinly sliced chilli, lemongrass and kafir lime leaves. It is served with some chopped green fresh vegetables to balance the spiciness a bit. The result is just one big herby taste explosion that you simply must try! Another highlight of their menu is the signature Nua Pu Pad Prik Kee Noo Sua. 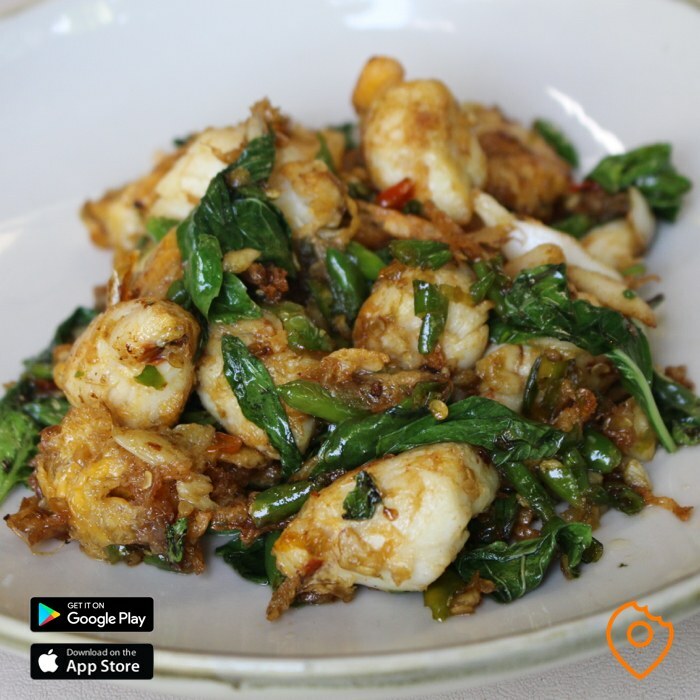 This stir-fried crab meat is covered in a delicious dressing together with fried Thai basil and plenty of chilli. 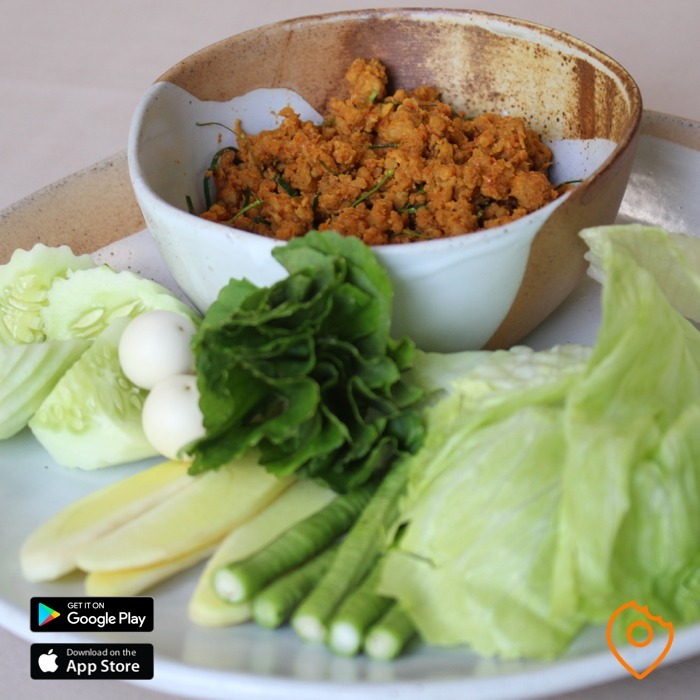 It is not as spicy as the Khua Kling, which benefits the presence of the crab meat. The crab meat is of high quality and you will get pretty large chunks. Absolutely delicious! As said, Khua Kling Pak Sod also serves non-spicy treats. 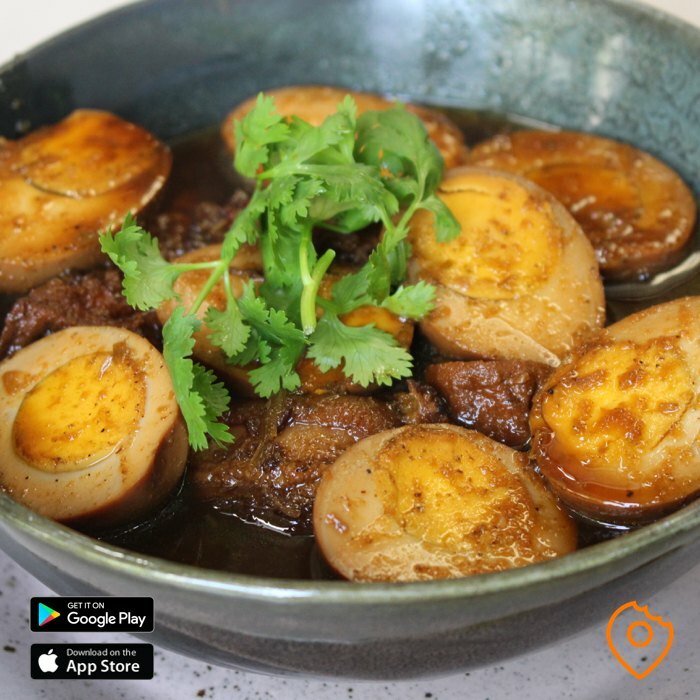 One of the most ordered dishes is the Kai Pa Loh Kha Moo: braised eggs, pork leg and tofu in a sweet soy sauce. The pork is incredibly tender and the eggs are soaked in sweet soy sauce, giving it a deliciously extra flavour. Another great dish I tried here is the Bai Liang Pad Kai. 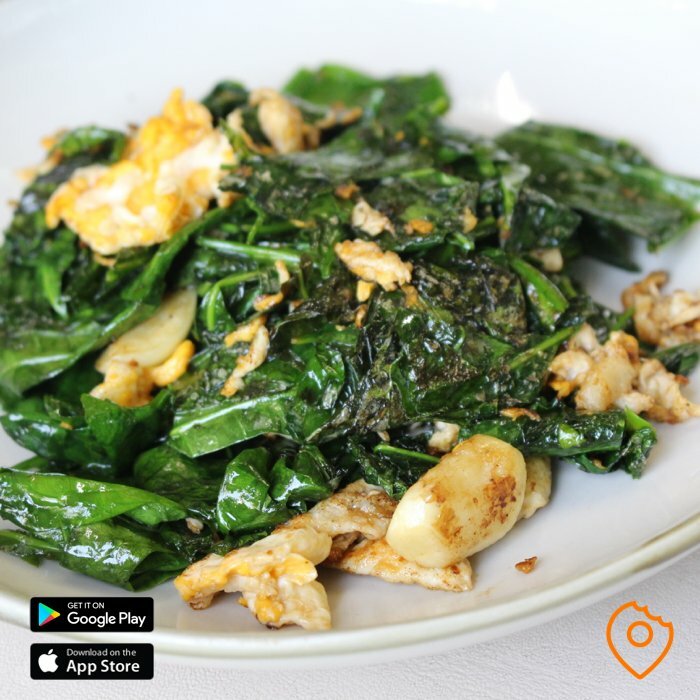 These stir-fried Melimjo leaves taste a little bit bitter and are covered in fried egg and garlic. As these flavours of these Melimjo leaves are unusual for almost any travellers, I would strongly recommend ordering this treat as well. To finish your meal, and especially when you ate something spicy, I would recommend you to have the simple but really tasty Lod Chong as a dessert. 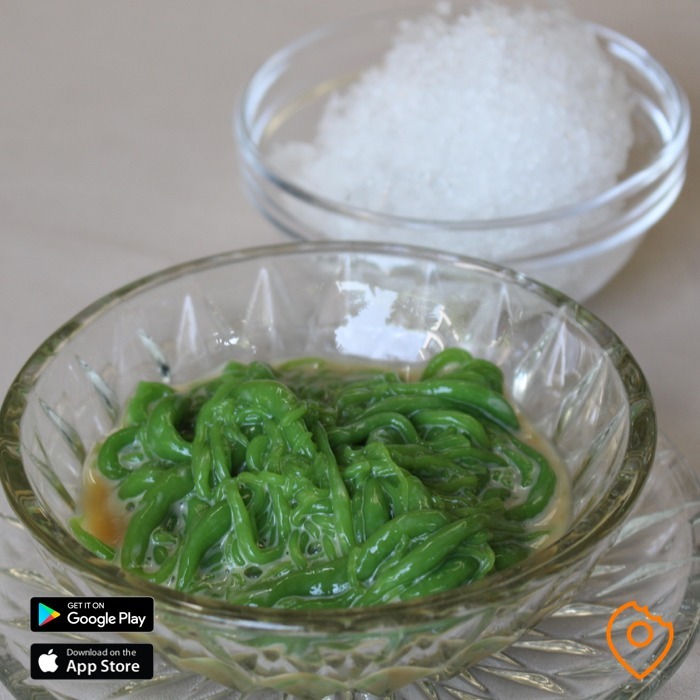 Lod Chong is a dessert made of sweetened coconut milk, green noodles and crushed ice. The noodles itself do not have any flavour but are there for texture. The crushed ice, together with the sweetened coconut milk are the ingredients what makes this dessert so fresh. And it is perfect to cool your burning tongue down. Overall verdict: Khua Kling Pak Sod has an extensive menu with twenty recommended dishes on their menu which assure you to have plenty of choice of high-quality Southern Thai dishes. It has a homey atmosphere, good service and after you visited the restaurant, you really have that feeling that you ate something special with flavours you’ve never tried before.